Well at least it wasn’t raining this morning. But it was still 7am when I woke up which for a student is a big, big effort. However needs must and I agreed to do this work experience so it’s about time I joined the real world. Anyway, today was spent mostly in the office. There were several stories which involved more phonecalls including one to the widow of an RAF pilot who received an Elizabeth Cross at RAF St Mawgan recently. Having not been in the situation of talking to a widow and having to talk to them about something which involved her late husband it was a weird and awkward moment but a moment that I shall no doubt get used to and one that must be done, however hard it may be. Other articles I wrote on were not so tough at that one and included a charity race across Newquay Harbour for a children’s hospice charity, completing the story about a new local One Stop and students using an aquarium for a photo shoot. Although these aren’t really exciting stories they’re all part of local, regional journalism. And when you get photos like this, it’s not all that bad! This was a photo sent to the office in a press release from the aquarium. This is in stark contrast to the last thing I did today which was go to Newquay Town Hall for a meeting othe Chamber of Commerce, of which five out of 17 members turned up. And I nearly fell asleep. Nothing happened as you can probably imagine. After everything I wrote yesterday and photographed, today probably comes across as a bit of a disappointment and a bore. I still had things to do, it’s just taking a photo of a phone and a computer isn’t that interesting. In a place where many people know each other and the local reporters mainly have stories told to them by various sources rather than rely in press releases it can be slightly limiting for someone who doesn’t know the area or the people and is only around for one week. However there was one last little thing I’ve done today. 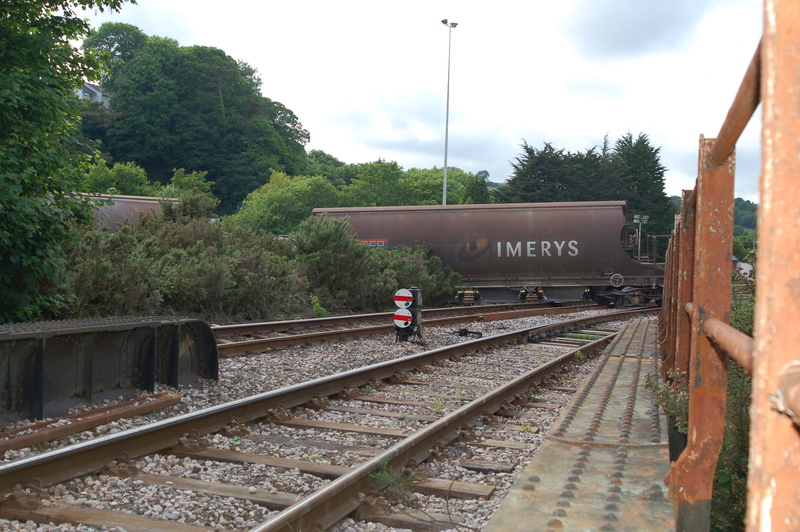 On the way to the office this morning the local radio reported that a derailed train had meant all trains to Newquay were cancelled. After finishing today I thought I’d check it out to see if it was still there. It was, at right angles to all the lines. How it got like that I don’t know, but here are a couple of snaps of the incident. It made a standard drive home a bit more interesting…if you’re interested in that sort of thing! What I want to know is, how the hell did it get like that?! Photograph at Blue Reef Acquarium taken by Kirsty Macdonald. 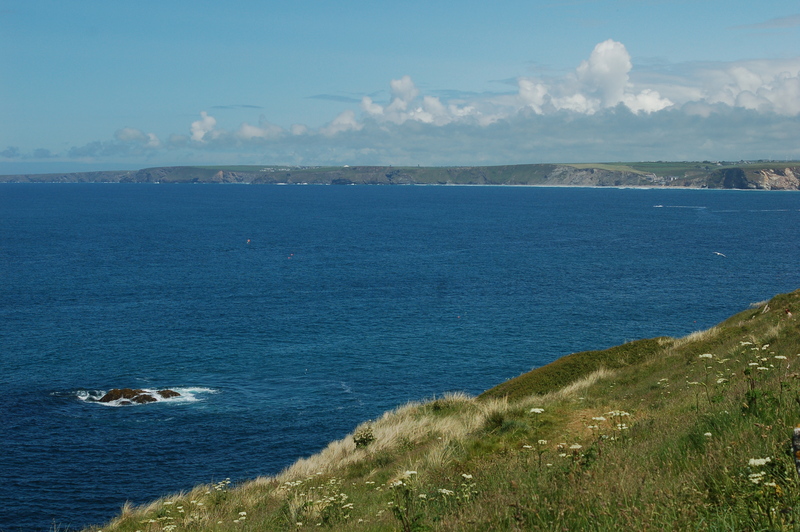 This week I’m down in Cornwall doing work experience at the Cornish Guardian. So what I thought I’d do is to blog about my week and what I’ve been doing during my time down here. Now you may notice that this first blog is appearing on a Tuesday rather than a Monday. Very good reason for that. Yesterday the weather was so awful I didn’t want to use my camera for fear of it breaking (after a recent repair I’m quite paranoid about it!) so the photos here are from Tuesday when the weather improved. Secondly, the Cornish Guardian is a weekly paper and goes to print on a Monday evening so the reporter for the area, Stuart Radnedge, takes Tuesday afternoons off to make up for his long 12 hour day on the Monday. So I didn’t really have much choice! So where is this office? Well it’s in Newquay and you may notice it doesn’t look too big. It isn’t. 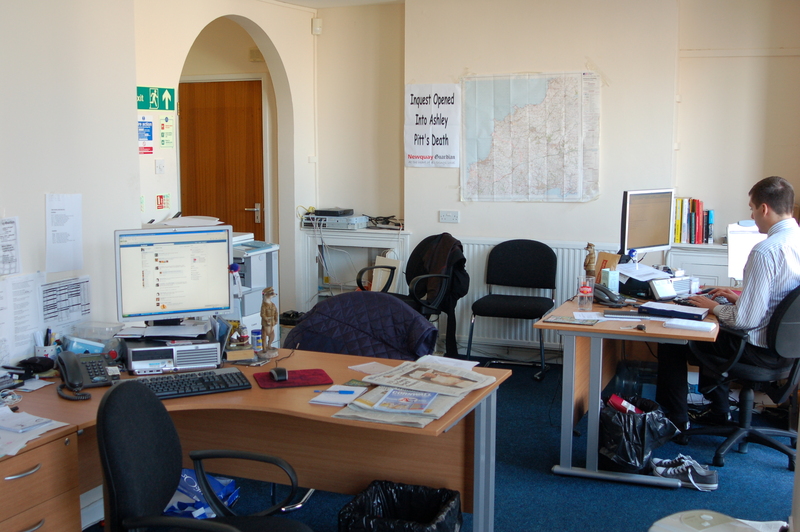 Only two people work here during the week, covering the local area for the Cornish Guardian who have their main offices in Truro. From the outside it’s not readily noticable and is discreetly tucked away next to a nightclub looking more like an estate agents than a newspaper office. I don’t mind this though as it’s a different way of working and a different atmosphere to what I’m used to. Rather than being one of many in a big open plan office in a city centre, here it’s down to one or two people to cover a mainly rural area for the local paper.And just because it’s small and away from the city doesn’t mean that there’s any less swearing or urgency to prepare for deadlines! And as you can see, when you get views like this on your way to work, who cares?! 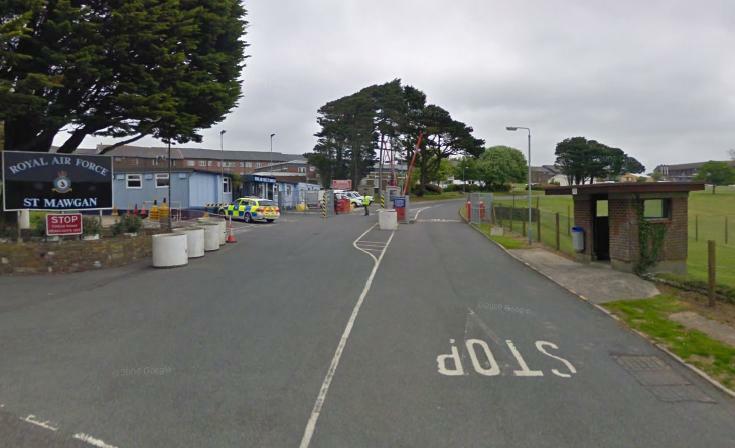 First thing upon arrival on Monday was go straight back out again with the local reporter to RAF St Mawgan to interview the station’s Wing Commander about his failed medical and imminent discharge from the air force. For security reasons we had to hop into an RAF police car from the main gate to the Wing Commander’s house which is on the base. In this instance Land Rover Defender, man those cars are an effort to get into! During the day a few stories came in for me to work on. My main article was about an ambulance which had its windscreen wipers nicked the day before. 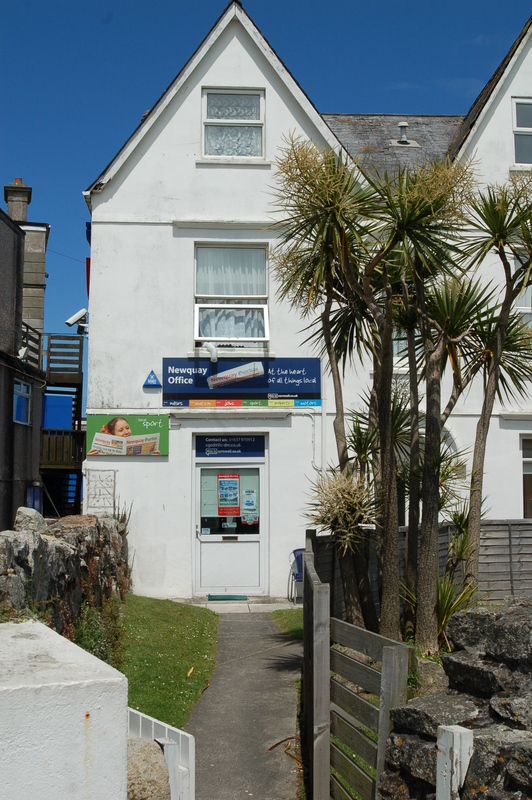 During a visit to Newquay Police Station I asked the Inspector if he knew if there had been any progress. After me explaining the crime to him I quickly realised that he didn’t know which was strange as although I was disappointed not to get any more information on the crime, filling in an Inspector about a crime was quite fun! The rest of the day was spent mainly finishing off copy in the office, making phonecalls and fielding more calls for my temporary colleague who was busy chasing up leads to other stories. A late trip up to Newquay Ambulance Station, to get a picture of an Ambulance with windscreen wipers held on by cable ties after the originals were stolen the day before, was my only time away from the desk during the afternoon which rounded off Monday. Tuesday broke to more grey skies. After fighting through the traffic in St Austell I made it to the office at 9am. There wasn’t too much to do except chase up quotes and information for a few articles for next week’s paper. Although it isn’t out for another eight days, the work starts here and already a quote which I thought was going one way suddenly went another when new information came to light during the conversation. The joys of journalism! In the foreground you can see the desk I’ve used for the past couple of days to chase up stories such as builders helping schools, ambulance wiper blades being stolen and plans for a new One Stop. OK they may be standard run of the mill stories (Stuart in the corner has been working on slightly more exciting things) they’re still important must be covered by someone. A lunchtime finish allowed us to enjoy a try up before heading off for the day. 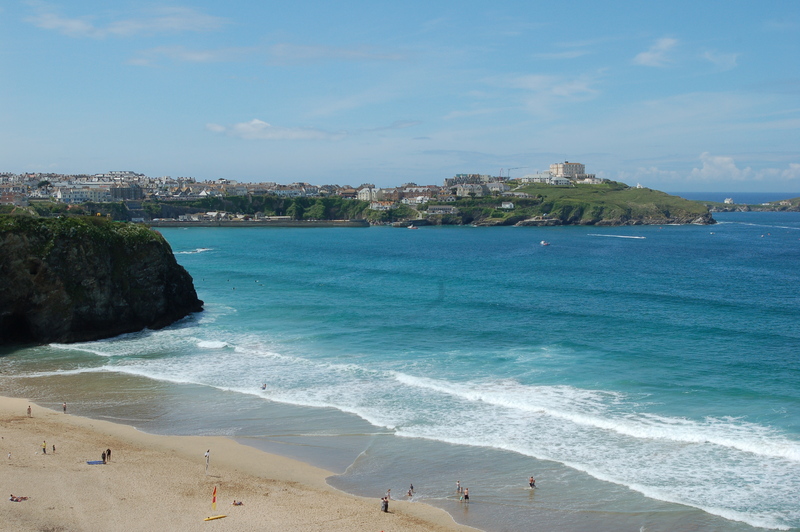 With the weather being so good in Newquay I took the opportunity to take a couple of shots before the cloud came and it duly arrived the minute I left the town. Now I’m back at home in Lostwithiel with the rain bucketing down outside. 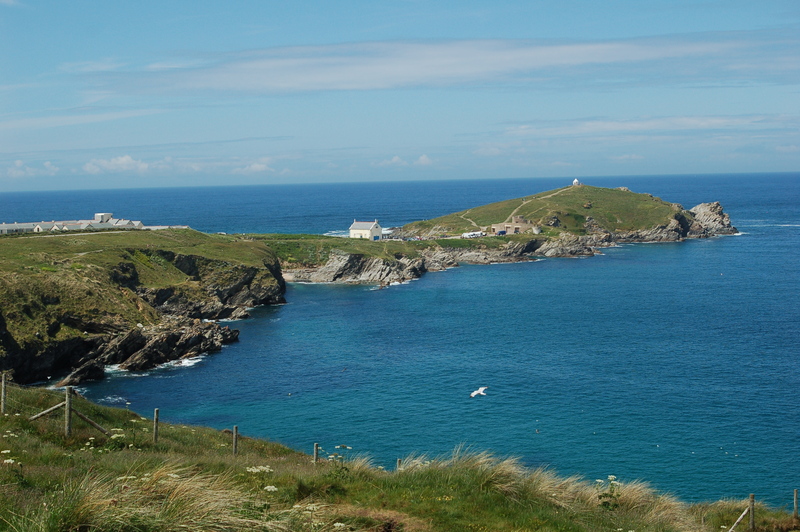 So to cheer myself up here are some photos of Newquay in the sunshine from earlier on today.